The spiritual value is the common denominator for the members of Polestar, and is what brought the residents of Polestar Gardens together. 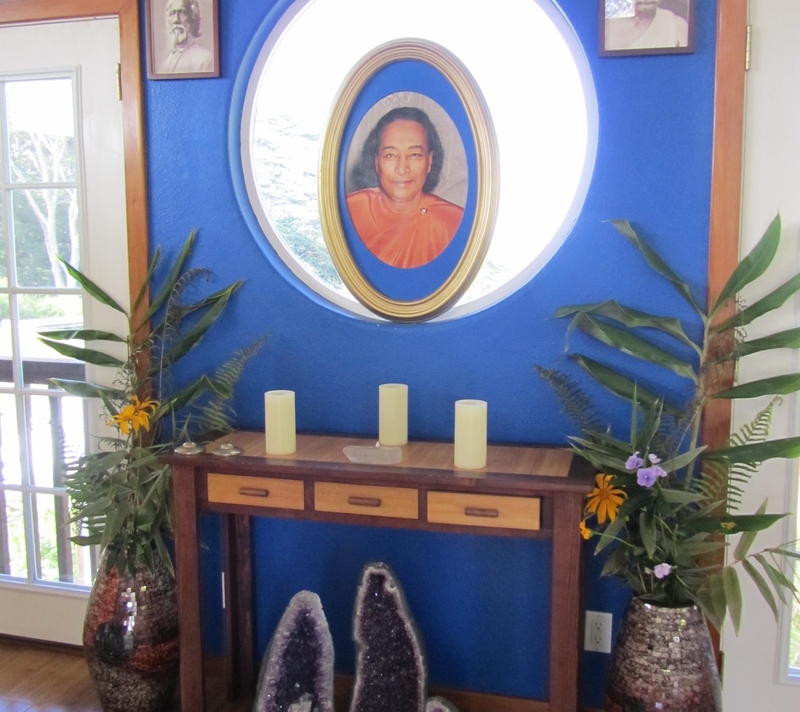 Members of Polestar focus on furthering their knowledge of the teachings of Yogananda, as well as actively practicing his teachings in every day life. The inspiration for the name “Polestar” is from the star aligned with the Earth’s axis of rotation; “the only fixed point in our perceptible universe,” said Gornik. “It’s a symbol of keeping what is most important to you in focus all the time, and having that goal always in your mind. Yogananda also used that concept quite a bit… Making God the Polestar of your life,” explained Gornik. Although it was created 12 years ago, only 6 years ago did Gornik move Polestar to Hawai’i. After searching for property in Sonoma County, Calif., the opportunity to purchase the 20 acres of land on the Big Island arose, and Gornik took advantage of that opportunity. Gornik is a long-time devotee of Yogananda’s teachings, having first read Autobiography of a Yogi when he was a senior in High School. Before founding Polestar, Gornik lived in Ananda Village, an older spiritual community that has been around since 1968 located in Nevada City, Calif.
An “intentional community” is what it’s called, explained Rachel Andersen, a resident of Polestar and also prior resident of Ananda Village. Andersen, a graduate of Occidental College in Calif., is Chief Marketing Officer of Polestar. Immediately after saying that she laughs and admits she created that title herself, but assures that her duties coincide with the title. People interested in perpetuating their yogic knowledge and experiencing the spiritual, intentional lifestyle come from around the world to the Big Island as a part of Polestar Gardens’ apprenticeship program. “There’s the more formal way [of spiritual learning]… the box formula of presenting material, and the second, which I think is almost way more powerful, is by living here, through osmosis, experiencing the community culture… You come, and we’re about to have a meal, and everyone circles and holds hands and then we sing a song to bless the food… You don’t even necessarily explain it before they experience it,” said Andersen. The property was designed in a way to facilitate cooperative living. There is a large main house with kitchenettes, a shared living room, and private living quarters, as well a few sheltered tents that interns stay in. Although half a dozen intentional communities are within a 15-minute-drive radius, a unique aspect that sets Polestar apart is the maintenance of a strictly drug- and alcohol-free environment. In addition to the spiritual aspects and cooperative lifestyle of the program, interns have the opportunity to gain life skills such as carpentry, gardening and vegetarian cooking, according to the website. 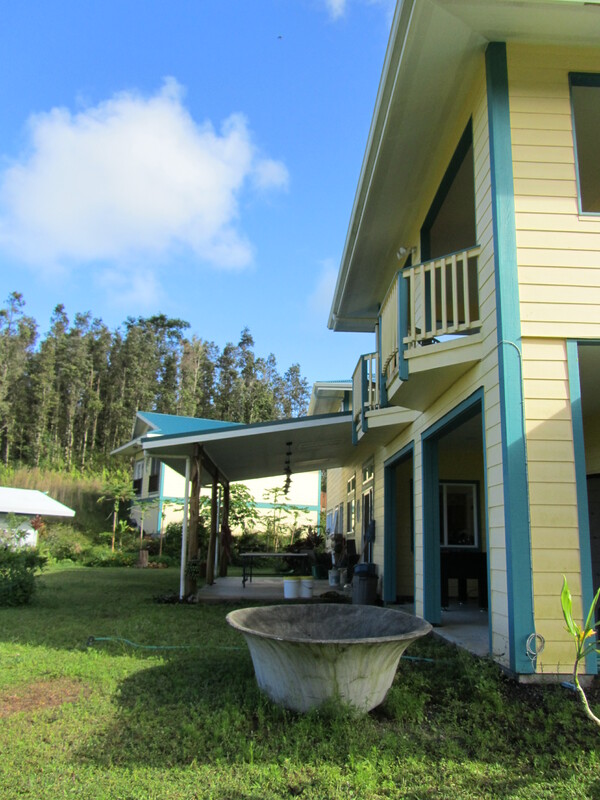 Polestar Gardens also welcomes vacationing yogis or devotees who are looking for a place to stay and practice in the tropical paradise of Hawaii, but Gornik notes that they pay a bit more because they do not participate in the work-trade that apprentices do. Additionally, offered exclusively in the summer months is a program geared towards young adults. The program, called Adventures in Spirit, is a 10-day long program that emphasizes the heart and soul of Polestar Gardens, educating the participants, referred to as interns, on yoga, meditation and sacred music. Of course, the amazing outdoor environment of Hawaii is also incorporated into the program through activities like snorkeling, hikes to the lava flow in Kalapana, surfing, trips to the geothermally-heated hot ponds. Right now, there are 14 long-term residents at Pole Star, and with interns and guests, it usually reaches about 20 to 30 people at any given time, said Andersen. “We like to say that our goal here is ‘keep the main thing, the main thing,’” said Andersen. For the patrons of Polestar, the main thing is maintaining happiness and a connection to the divine. The Wednesday night kirtan is just one of many efforts to keep “the main thing” in focus. “Singing by itself is an uplifting thing to do, energetically and vibrationally; it lifts your energy and consciousness… It’s a great way to connect with our larger community and it’s a very transcendent experience,” said Gornik. Daily meditation takes place in the temple, a small structure adjacent to the main house, from 5:45 to 7:15 a.m. daily. Mondays from 5 to 7 p.m. Raja Yoga is practiced, following by a discussion. “Yoga is any, according to Yogananada, scientific method of attaining higher consciousness or God realization or whatever you want to call that, or that experience of oneness. And that’s what yoga means; yoga means oneness,” stated Gornik. Every morning, the members get together for an informal community check-in, an amusing story and an affirmation. 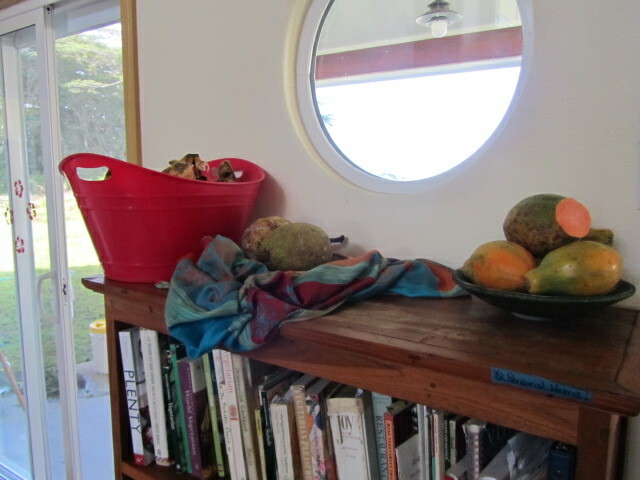 Nestled in Puna on the Big Island of Hawaii, the drive down to Noni Farm Road where Polestar Gardens is located is jungle-esque, but the property itself is rather open and rural. Chickens run free and the surrounding plants are green, lush and thriving. They once tried to start a community supported agriculture (CSA) movement on the acres of prime farmland, but the farmer who was directing the movement had to leave in 2010, so they didn’t quite reach the goal. Andersen hopes that one day they’ll be able to grow food on the property and perhaps even sell surplus banana, avocado, and other produce. In addition to the 24 hours of work per week that each intern must complete, service learning and volunteering in the greater community are also valuable parts of the Polestar stay. While it is not mandatory for residents to participate, volunteer dates are posted on the calendar, so everyone has a chance to participate. 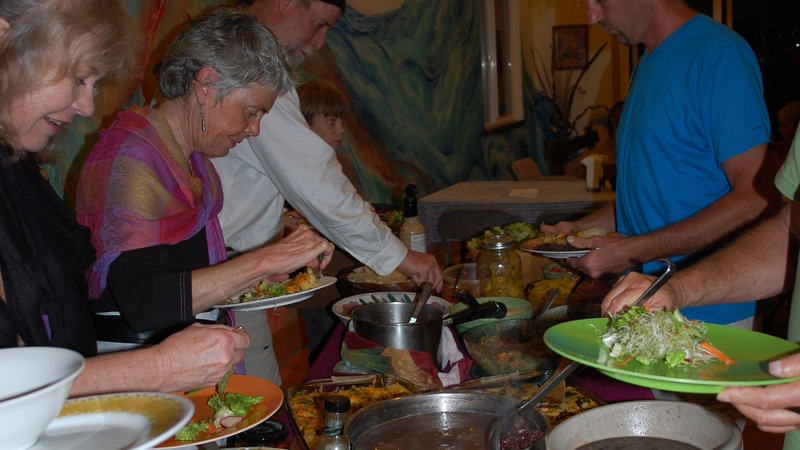 “Another great thing I love that Michael came up with is ‘we eat, pray, work, and play together.’ It’s the recipe for a successful intentional community anywhere,” said Andersen. On the way up to the main house, a large structure is passed on the left hand side in an open area of the property. This metal skeleton is the beginning of the members’ current project: a soon-to-be community center. It is intended to be a place that classes can be held or for get-togethers. 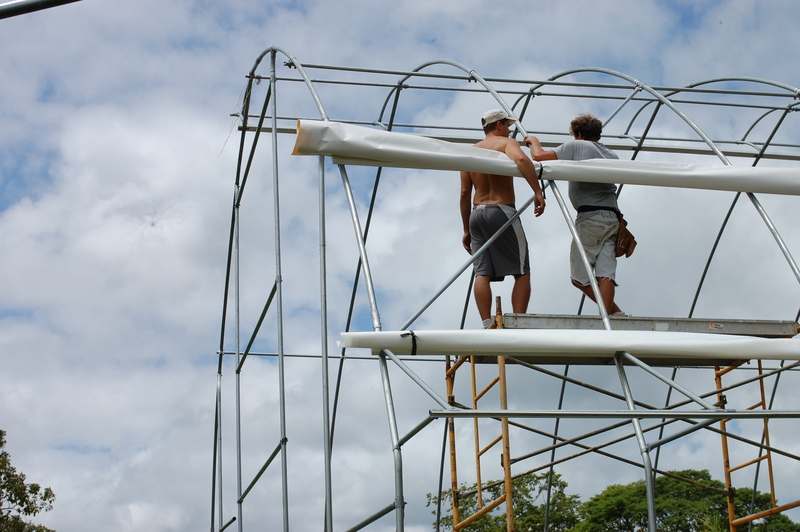 Two residents working on the soon-to-be community center at Polestar Gardens. “We’re up early, we exercise, we do these Pranayams that Yogananda taught, and then we do some yoga, meditate, and then we circle and we’re off to work. It’s a pretty rigorous lifestyle. It’s remarkable how many people go away absolutely refreshed… so thankful that they came and really energized. I’m thankful for that; that we can share that with them,” said Gornik.